Cassada Bay was host to a large group of youngsters from Barbados representing the New Testament Chuch of God in Grenada last month on a special dance and drama outreach. This page is under construction, read on to learn more about this wonderful location and UCT's vision for the place. 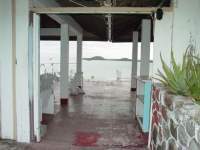 Cassada Bay has been empty for some years now but the hotel could very easily be upgraded with a moderate injection of capital, lots of elbow grease and plenty love. The lovely entrance to the open plan lounge/bar and dining area is clean and debris free. 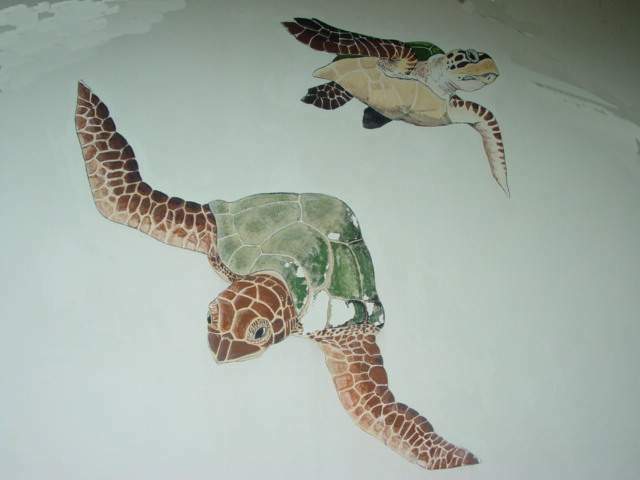 The wall murals of sea creatures can be upgraded with minimum inputs. There is a healthy land turtle population. 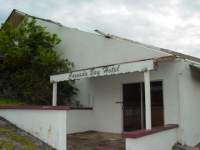 The lounge is in need of some minor renovations, such as replacement of termite eaten balcony rails, floor paint or tiling, and lounge and recreational furniture. 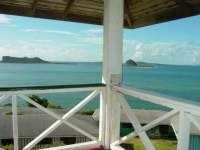 The stunning views over White Island and distant Grenada from the open air deck are breathtaking. 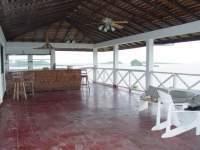 The dining area overlooks the hills and distant mangrove of the protected bay. 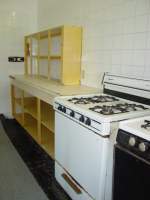 The kitchen area is well equipped but could do with some new appliances and accoutrements. 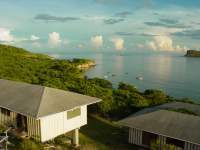 The accommodation in Cassada Bay is a collection of semi-detached one bedroom chalets overlooking White Island, Saline and Grenada in the distance. 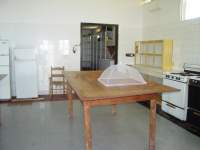 Located on eight acres of beautiful grounds. Some careful replanting could restore the lovely tropical garden, with a minimum outlay and a run on a seed bank. 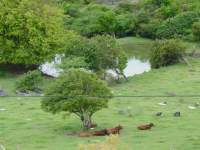 The natural pond could provide irrigation for an organic kitchen garden and the surrounded grounds planted with appropriate vegetation. The old cemetary will be restored to its former dignity, enclosed an blessed.. 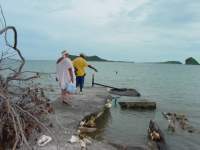 The jetty has been destroyed and is in need of reconstruction, but has basic capability as a functional boat landing. As this base will continue to distribute relief supplies to coastal villages in Grenada, the facility of the jetty needs immediate attention. 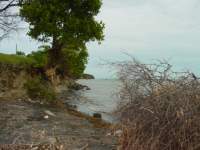 Fallen and uprooted trees clutter the volcanic beach since the storm. Much clearing, burning and reconstruction has already begun to help this area to return to its former beauty. Beach clean up working holidays are planned! 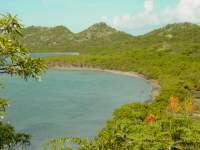 Visit Grenada for a day on any of the UC Grenada initiatives, the La Mode Village Experience or the Reforestation eco project. 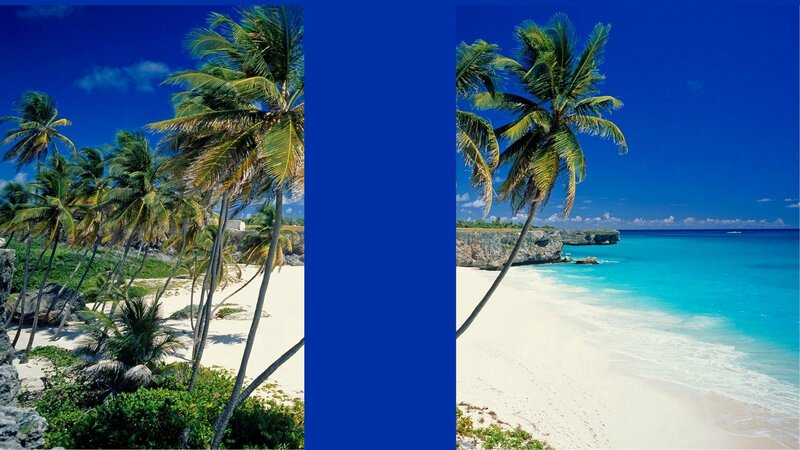 (Add in US $60 per day for each day trip to Grenada for ferry, ground transport and meals.) Projects are developing as God opens doors and browdens our territory. 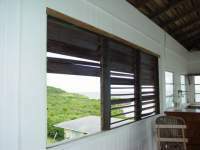 The Church With No Limits, our Spiritual home in Carriacou. Paster Happy from Africa leading the way in evangelism and youth outreach.